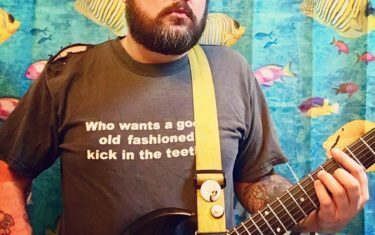 Punk musician Brandon Hamilton has released his new single, “The Idiot Is Me,” a blazing track which features muffled vocals that add to the song’s gritty punk rock attitude. While many Austinites have not heard Hamilton’s music, if you are into punk rock you will hear about him at some point. Sounding a bit like California band Face to Face or even old Blink 182, Hamilton will win fans of those bands over with the speedy intensity of the track and Hamilton’s “don’t give a damn” mindset that is so closely associated with punk rock. You can check out “The Idiot Is Me” below.